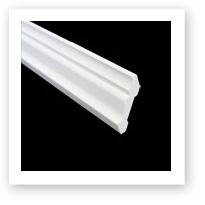 The secret to adding flair to your home is found in the beauty of custom trim mouldings. Accentuate the beauty of your windows and doors with a unique trim surround package. Available in a large selection of pre-manufactured designs, the craftsmen at Way-Mar will also custom make your window and door surrounds to fit the style of your home. If you live in an older home, chances are you love its historical charm, unique trim details and enduring character. Along with the positive aspects inherent to traditional homes, you may also have to deal with rotting wood, chipped paint and water damage. 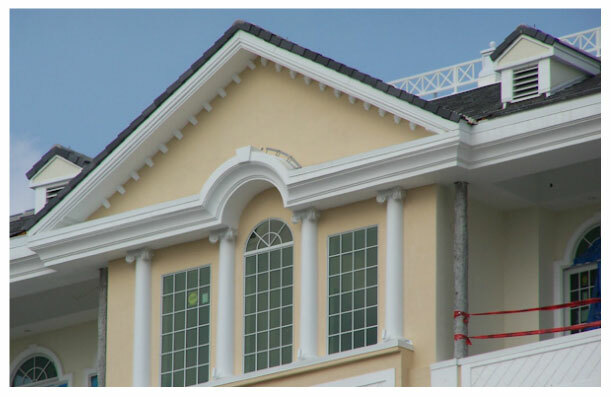 At Way-Mar, we have been responding to customers who would like to upgrade the exterior of their homes without sacrificing the intricate trim designs that give their houses architectural appeal. 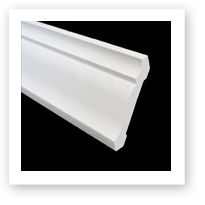 By working with a product called PVC, which stands for polyvinyl chloride, we can replace old trim, soffits, columns, shutters and porch ceilings with a modern product that replicates old details with amazing accuracy. 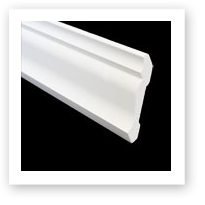 Because PVC has the same density as pine, it is easy to cut, rout, mitre and fashion into exterior trim that is both durable and maintenance-free. You can opt for a PVC product with a smooth finish or one that has a wood grain appearance, so that when it is painted or stained, it has the warm, authentic look of wood. Ready to refresh your home's exterior? Contact us.